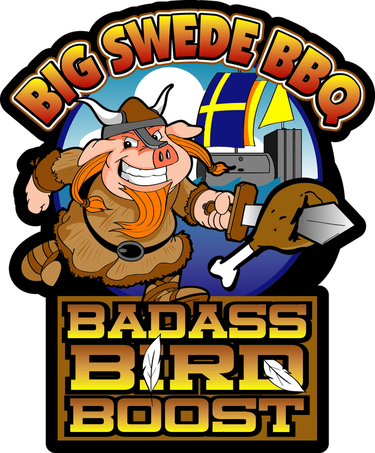 Our BBQ Island Pitmasters Johan Magnusson of Big Swede BBQ and Robert (BAM) Everson of Bamabbq4evercatering have you covered! There are many ways to cook a thanksgiving turkey and we love all of them. Each method brings a different dimension to the wonderful turkey meat and there is not one approach that is better than the other. Every American has their preferred way of cooking our beloved bird, and that is what makes Thanksgiving Turkey so much fun! Give your Thanksgiving Turkey A Big Swede Boost Of Flavor! Roasting is a dry heat cooking process and is one of the most popular methods used for cooking turkey. I think it is safe to say that we all love the house filling up with the aromas of a turkey roasting in the oven! 1. Cook the turkey on a rack of vegetables. Create a natural roasting rack for your turkey by layering carrots, onions and celery on the bottom of the roasting pan. Lifting the turkey off the base of the pan helps to increase hot air circulation around the whole bird so that it will get crispy all over. 2. Keep the stuffing on the side. Cooking the stuffing in the turkey can create growth of harmful bacteria. In addition, a stuffed turkey will take longer to cook, which could result in drier white meat. Instead, loosely fill the turkey with aromatics such as onions, apples and herbs and cook the stuffing separately. 3. Since roasting in the oven is a dry heat cooking method, you should brine the turkey first to keep it moist. Brining is a salt marinade which causes the meat tissues to absorb water and flavorings by breaking down the proteins. Make your own or buy a commercial one from us here at BBQ Island. Slow cooking turkey breast in a crock pot enhances its flavor and make it more tender. It’s also a really easy process. 1. Pick a skin-on, smaller turkey breast. Skin on is recommended because the fat under the skin melts while the turkey is cooking, and it bastes the turkey. A smaller turkey breast will also cook faster and fit better in the crock pot. 2. Place the turkey on top of the veggies. Always cook the turkey breast with a generous amount of vegetables. It adds flavor to the gravy and in the crockpot these vegetables also act as a trivet to hold the turkey breast up out of the liquid. 3. Crisp the skin in the oven before serving. The low temperature you cook with in a crockpot might leave you with a very rubbery and chewy skin. Therefore crisp the skin under the broiler for a few minutes. The extra flavor you get is worth it. Trust me. We love cooking a turkey on a grill with indirect heat. The grill works like an oven and produces a beautifully cooked bird. 1. Get a turkey that is broad and flat. Generally, a turkey that is broad and flat will fit better under the covered grill top than one that protrudes too high in the breast area. Remember there should be at least one-inch of space between the turkey and the lid. 2. When grilling a whole turkey or turkey breast, use a disposal drip pan to catch the drippings. Otherwise, all the fat from the turkey will mess up your grill and can potentially cause a grease fire. 3. Try Rotisserie grilled Turkey. The selfbasting action of the rotisserie’s spin makes for an almost foolproof dinner. Make sure to truss the leg and the wings together with kitchen twine for a better cook. 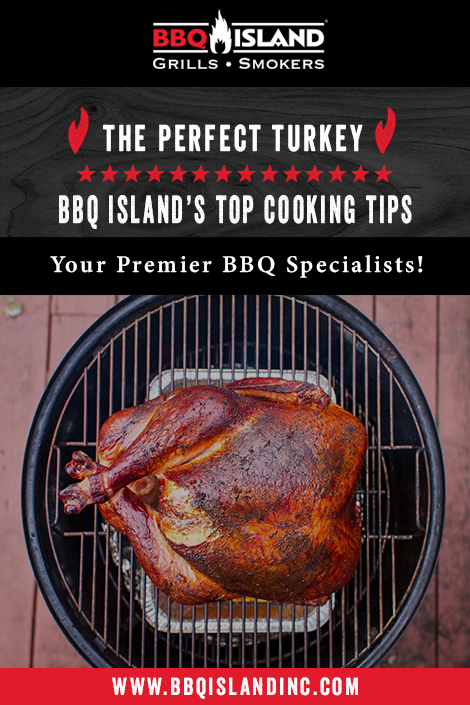 Smoking a turkey outside does not only produce a flavorful and juicy turkey but it is also very practical, it frees up the kitchen oven for dishes you need to bake or just keep warm. 1. Use fruitwood for milder flavor and great color. Whether you are cooking with wood, using woodchunks or perhaps using a pellet smoker, we recommend fruitwood like Apple or Cherry for a milder flavor. These wood types will also give your bird a beautiful red color. 2. Rub the inside of the skin with butter and seasoning. The last thing you want when you smoke a turkey is rubbery skin. One way to avoid that is to rub the inside of the skin with tons of butter and herbs. This step will produce a crispy skin and help seasoning the turkey underneath the skin. 3. Smoke at a higher temperature, between 325-375F. We think that a turkey smoked a higher temperature is better than a turkey smoked low and slow. The turkey cooks quicker, loses less moisture, and the skin is crispy, not rubbery. Deep-frying a turkey turns out an irresistibly tender and delicious turkey, and is a great alternative to traditional cooking methods. 1. Be very careful. Using a propane deep fryer can be very dangerous. Never leave your deep fryer unattended and deep-fry your turkey outside on a flat surface, far away from homes, garages, wooden decks, etc. 2. Don’t overfill or underfill the fryer with oil. Place the thawed turkey in the fryer basket and place it in the fryer. Add water until the top of the turkey is barely covered. Remove the turkey, allowing the water to drain from the turkey back into the fryer. Measure and mark the water line and use that line as a guide when adding oil to the fryer. 3. Submerge and resubmerge. To minimize the risk of the turkey sticking to the basket, submerge the empty basket in the hot oil for about 30 seconds; remove and place turkey inside and resubmerge. We are big fans of spatchcocked turkey, which is the process of removing the back bone, cracking the breast bone, and grilling the entire bird flat. It’s a faster, more even cook, which yields wonderfully moist meat and crisp skin. 1. Dry out the skin. Before you cook the spatchcocked turkey, make sure that you dry out the skin as much as possible before you start cooking it. Dry skin equals crispy skin. We always let the turkey sit in the fridge after we patted it dry from the brine for at least 8 hours before we start seasoning it. 2. Season both sides of the turkey. Make sure that you also season underneath the bird, it will add flavor as well. 3. Let the seasoning sit. Season the turkey at least an hour before you put it on the smoker to give the seasoning enough time to adhere to the turkey skin. Now that you know every possible way to cook a thanksgiving turkey, perhaps it’s time to try something a little bit different? Who knows, it may just give your thanksgiving turkey that little extra “boost”. 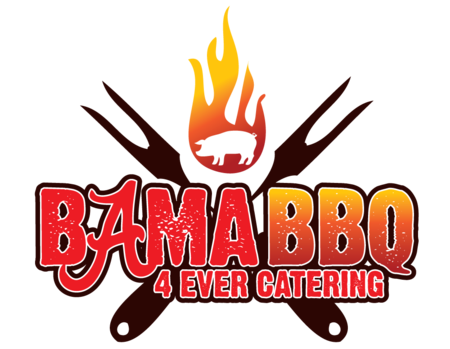 Robert Everson - Bama BBQ 4 Ever Catering @bamabbq4evercatering - check him out on Instagram! "Personally, I prefer my bird smoked or deep fried! Smoking it is my TOP choice because of the signature wood blend of oak, hickory, and cherry that I use. A vital step in the smoking process is to first spatchcock your turkey, which simply means to cut out the backbone and then flatten it out. Spatchcocking allows you to get a nice even cook, color, and flavor all across your bird. Don’t skip this step! My go-to injection is a creole butter with maple syrup, and I season the outside and breast side of my featherless friend with olive oil and Cajun season. Make sure to smoke your bird to an internal temp of 165 degrees at the thigh leg portion. Check out the new Grilleye Plus to make sure you hit that temp exactly! A close second to smoking my turkey, is my deep fried Cajun jalapeño injection turkey. These are deep fried as a “whole” and spatchcocking is NECESSARY for deep frying a turkey. Injection is required at least 24 hours prior to get the most flavor from the injection. I do 3 1/2 minutes per lb at 375 degrees in peanut oil, then season the whole bird with a Cajun seasoning for extra flavor on the outer crispy skin. Next I let the bird “settle” for at least 2 hours by wrapping it in heavy foil. This settling process insures that all the juices are allowed time to settle back into all portions of the turkey. Talk about a juicy bird and tender all the way through! PS. Bama sells amazing baked beans if you are looking for side dishes!